On what was once a barracks in Erfurt, the home of a six-person family was built in 2014. The challenge for deckert mester architects: a fixed development plan and a steep slope. The development plan provided for detached houses with spaces between them of 3.5 metres. 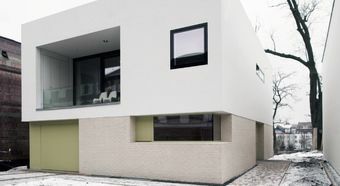 Furthermore, it oriented itself on the Bauhaus style and its white cubes. 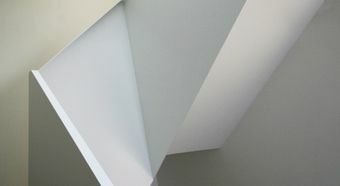 Due to these constraints, the architects chose one of the permitted white tones for the façade. 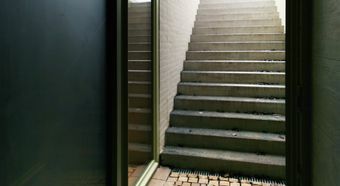 Even the height and width of the building was exactly specified - the only way the house is distinguished from the others is in the semi-basement with its light bricks. 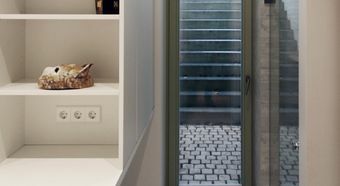 The individuality can be seen much more in the interior of the 350 m2 family home. 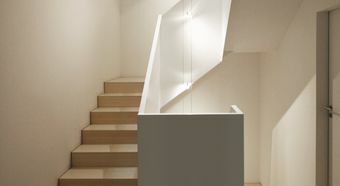 The rooms in the basement are illuminated with a sunken courtyard with external stairs. The north façade is a firewall and thus completely windowless. The stairs are positioned here and illuminated from above by a large wellhole. On the south façade, with the narrow space to the neighbouring building, the slightly recessed main entrance for the house is found. 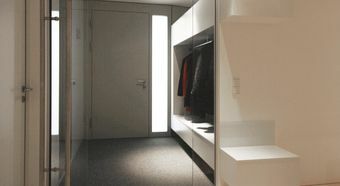 The basement, with the children's rooms, can have a range of uses and can be flexibly adapted to future usage requirements. In the future, the children's level can be made into a separate living unit or a wellness zone with sauna, peace, fitness area and an external area protected from view. Both the garden and the ground floor can only be used in a few parts due to the steep slope. The connecting living level and parent area are thus on the first floor. Looking out from the open kitchen-dining area, there is a view of the city. Ceiling-height folding elements can be opened completely and transform the dining area into a loggia. 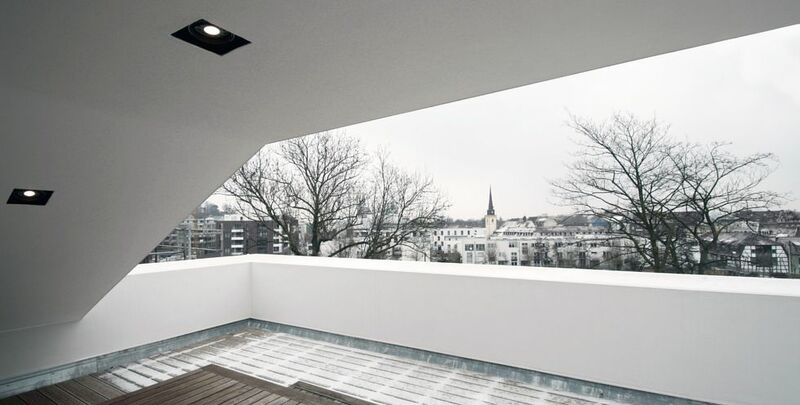 The electrochromic glazing allows stepless shading at the press of a button. 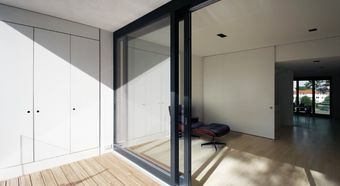 The sliding doors "disappear into the walls" and allow separate utilisation. The living room and the loggia in front of it have a clear ceiling height of over three metres. The electrical installation is by JUNG in the classic LS 990 design. In pure white, it sets clear, puristic accents. With its high quality and clear shape, the LS 990 switch range has proved its worth for more than 40 years. Half of the roof is taken up by the generous roof terrace. From here, the family can see the Erfurt cathedral. 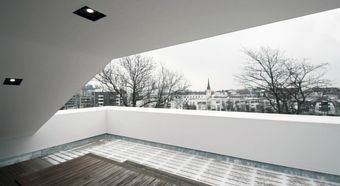 Different fascia and parapet heights make the varying room heights in the floors below possible without violating the cubes prescribed in the development plan. The new construction corresponds to the standards for Energy-Plus houses and has solar and photovoltaic systems, a heat pump and a rainwater cistern.